The snow is finally starting to melt after the longest winter ever! It’s time to get out on the dirt and ride mountain bikes! You’re in luck if your kids are teens or pre-teens! The National Interscholastic Cycling Association (NICA) provides a way for kids to continue to enjoy outdoor adventures and learning new skills on their mountain bikes with their peers. Last year, nearly 30,000 student-athletes participated in NICA mountain bike events. 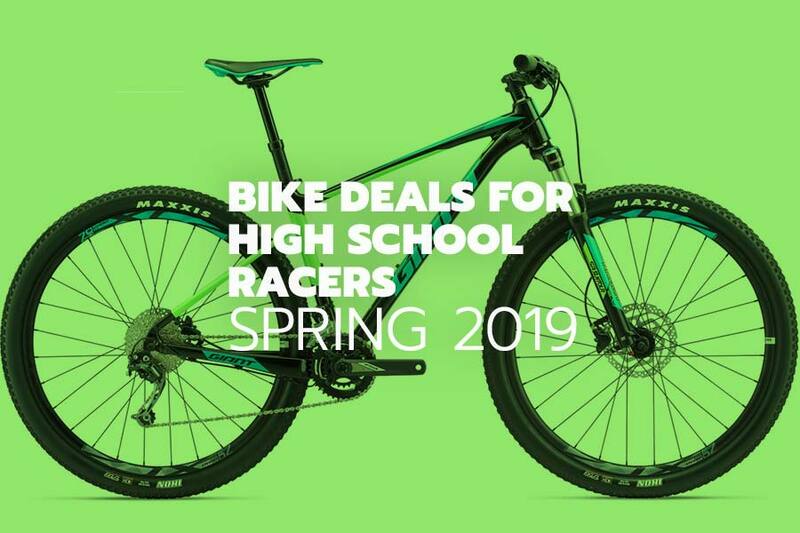 If your mountain biking kid grew a few inches over the winter, you may be thinking about picking up a new ride for their NICA racing season. Here is a short list of some of the best deals available now for kids who are training for or racing NICA. With smooth-rolling 29” wheels and a lightweight hardtail frame, the Fathom 29 mountain bike will keep your NICA rider fast, balanced and in control on all types of XC terrain. The ALUXX SL-grade aluminum frame features a relaxed geometry quality that’s ideal for challenging XC trails. The Fathom provides 100 mm travel with a SR Suntour Raidon XC LO-R fork. The Maxxis IKON tubeless tires and Shimano M315 hydraulic disc brakes provide great traction and stopping power. This mountain bike is currently available in sizes small, medium, large and XL with a minimum stand-over height of 28.7 inches. 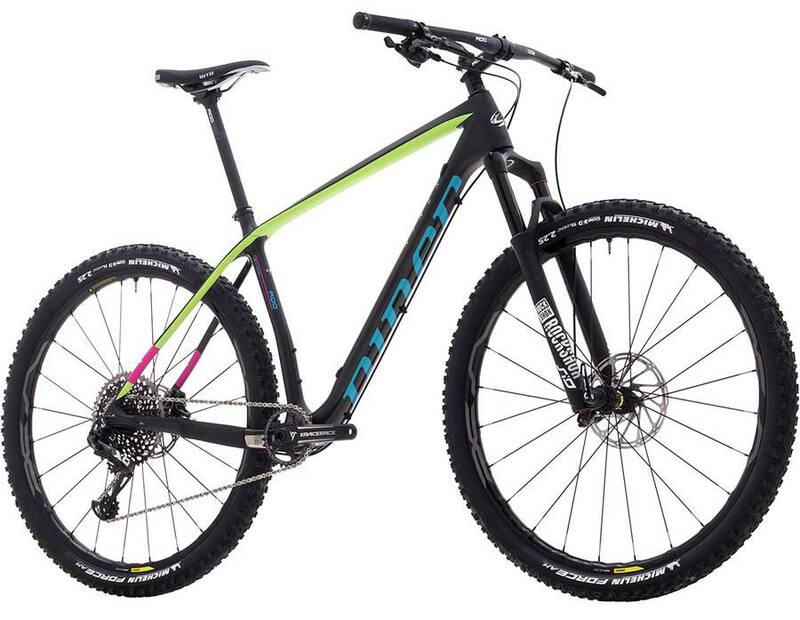 The Diamondback Overdrive Carbon Pro 29 is a race-ready lightweight carbon hardtail mountain bike that your NICA racer will love and your wallet will appreciate. The Overdrive Carbon Pro features SRAM’s GX 11-speed 1x drivetrain and provides an ultra-wide range of gears for easy climbing and quick descents. The Rockshox Reba RL fork smooths the bumps and the Shimano SLX brakes provide speed control and stopping power. The Overdrive Carbon Pro comes with tubeless ready wheels to keep your NICA kid from being sidelined with a flat during a race or training. This mountain bike is currently available in sizes small, medium, large and XL with a minimum stand-over height of 30.5 inches. 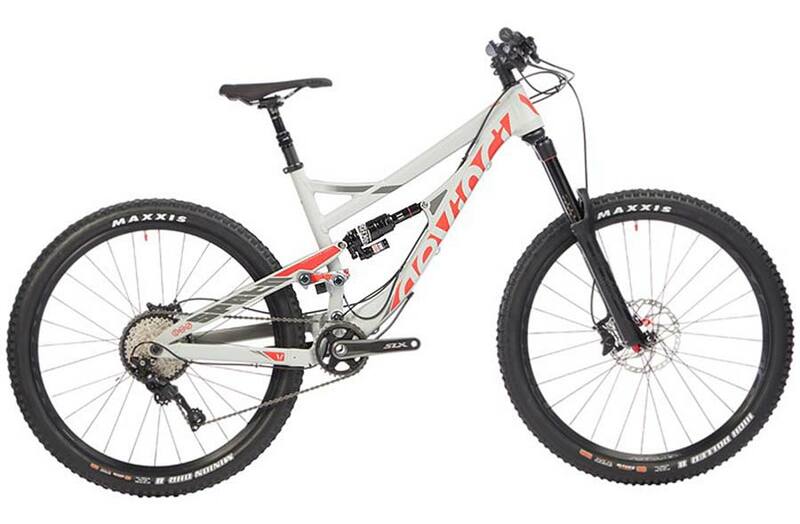 The Santa Cruz Highball Carbon R Mountain Bike is a featherweight hardtail ideal for cross-country NICA racing. The Highball Carbon R build with SRAM NX components and FOX Rhythm fork weighs only 24 pounds. The Santa Cruz Highball Carbon R Mountain Bike provides progressive geometry allowing your NICA racer to stay composed while tackling technical trail features at speed compared to other steeper head tube angle bikes on the market. Other modern geometry updates include a moderately longer reach and wheelbase for more stability at speed and over rough terrain. Other frame features include internal dropper post compatibility and internal routing of all cables to keep everything looking clean. Your mountain biking kid will stay hydrated on the longest training rides thanks to the three bottle mounts on the frame. 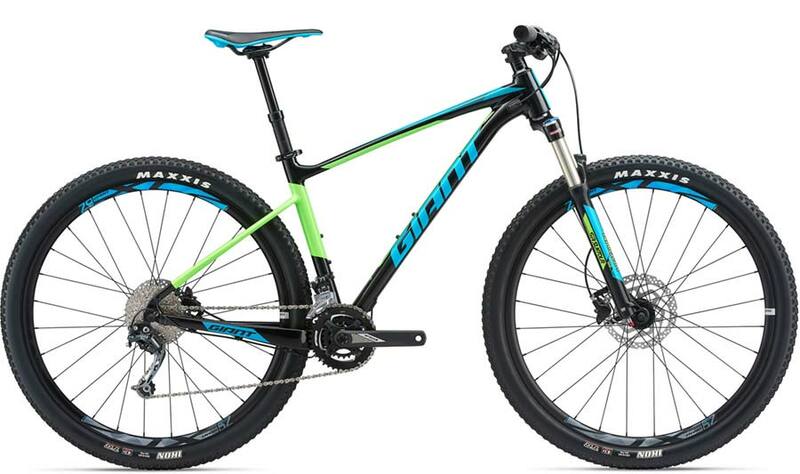 This mountain bike is currently only available in small and medium with a minimum stand-over height of 27.87 inches. The Devinci Spartan XT Complete mountain bike is an all mountain bike that will be at home in enduro as well as NICA cross country races. 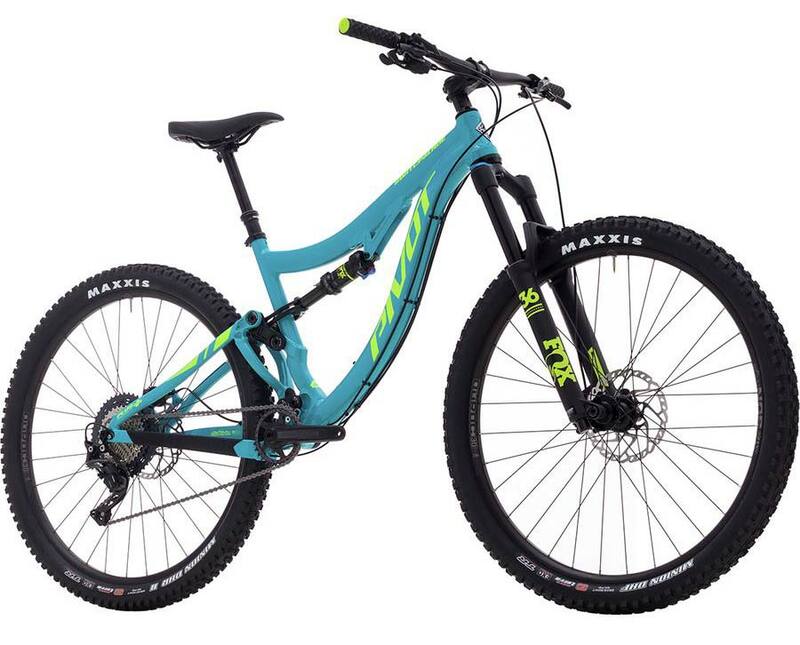 The full suspension Spartan XT boasts a race proven Split Pivot suspension design paired with a RockShox Pike RC Solo Air 160mm suspension for a smooth ride. The Spartan includes RaceFace Æffect R30 wheels with burly Maxxis High Roller II (27.5 x 2.3″) tires for great traction. If your NICA rider lives for the descents, this may be the perfect ride for them. This mountain bike is only available in size small. Fits riders with a stand-over height of 28.6 inches. 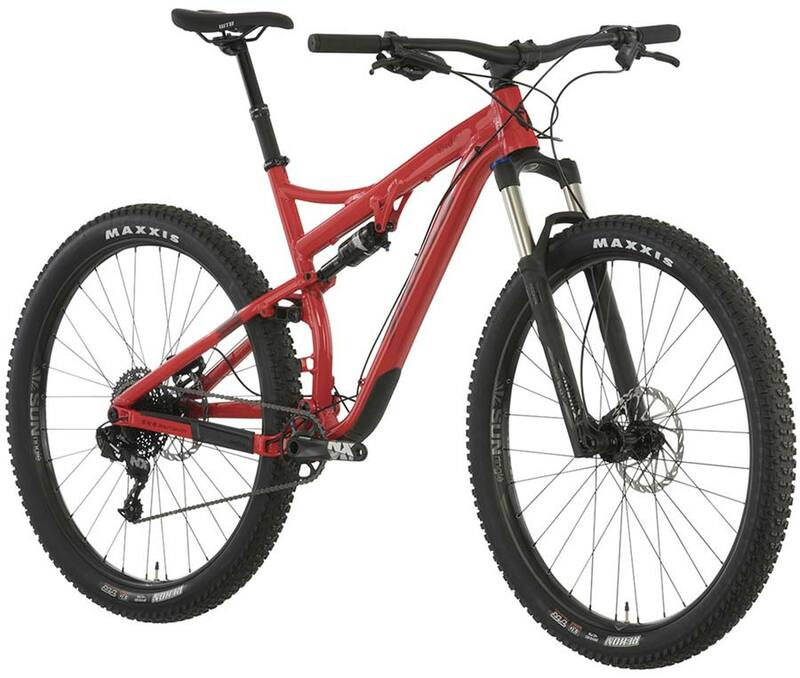 The Salsa Deadwood SUS is a full-suspension short-travel mountain bike with 29” wheels. The Deadwood SUS has an aluminum frame with a tapered headtube and Split Pivot suspension. 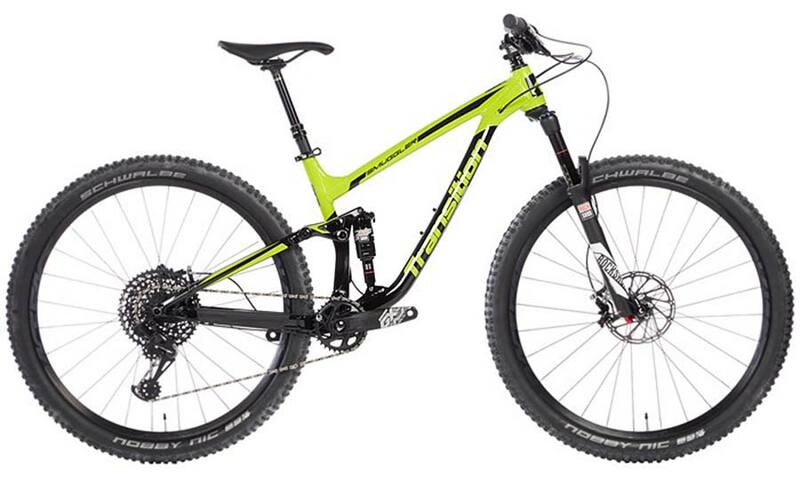 This full suspension trail bike has a Rock Shox Recon RL Boost 120mm fork and a Rock Shox Monarch RT3 w/Debonair shock giving your NICA racer 120mm front and 91mm rear suspension travel to tackle the most technical trails. The hydraulic brakes will ensure responsive speed control and stopping power. This mountain bike is currently available in sizes small, medium and large with a minimum stand-over height of 29.1 inches. The Transition Smuggler GX evo Complete Mountain Bike includes the GX Eagle 12speed drivetrain and RockShox Pike RCT3 Solo Air front and Monarch RT3 Debonair rear suspension. This bike has an aggressive geometry highlighted by the 67.5° head angle to give your NCA rider confidence on the descents. The 29-inch wheels and award winning Giddy Up suspension design work together to smooth out rocks and roots. This trail bike comes with a RockShox Reverb Stealth (B1) Dropper to keep your NICA racer on the pedals no matter what the trail throws at them. This bike is only available in sizes medium and large. The medium size Transition Smuggler GX evo Complete Mountain Bike fits riders with a min stand-over height of 27 inches. Starting with Banshee’s all-new KS Link suspension platform, the Spitfire GX Jenson Spec-B mountain bike features superior components at a great sale price. Jenson’s USA exclusive build pairs the Spitfire frame with SRAM’s all new GX Eagle 12 speed drivetrain. The 10-50t Eagle cassette will give your NICA racer plenty of range to charge the straights and spin the climbs. The Rock Shox Pike RCT3 fork will smooth out the trail. RaceFace Aeffect 27.5″ wheels and large Schwalbe Hans Dampf tires will provide excellent traction. As an added bonus the Rock Shox Reverb Stealth dropper seat post will keep your NICA rider happy whether climbing or descending. This bike is only available in small and medium sizes. The small Spitfire GX fits riders with a minimum stand-over height of 26.92 inches. 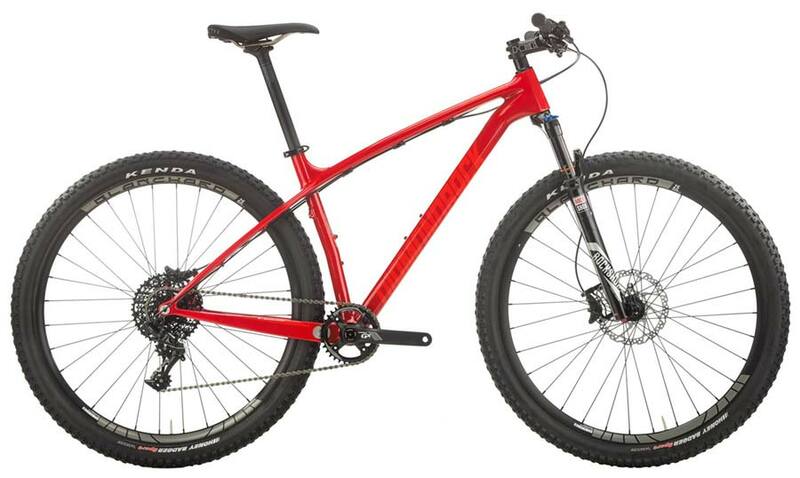 The Salsa Redpoint is a 27.5″ wheeled 150mm travel trail bike any NICA rider will love. The Redpoint features a carbon front triangle & carbon seat stays and tapered headtube to keep it light and fast. The Split Pivot suspension and frame design creates the perfect balance between trail bike climbing ability and all-mountain descending. This bike features the SRAM GX Eagle 10-50T, Maxxis Minion DHF 27.5 x 2.5″ and a Rock Shox Reverb Stealth Dropper. This mountain bike is currently available in sizes small, medium, large and XL with a minimum stand-over height of 29.1 inches. 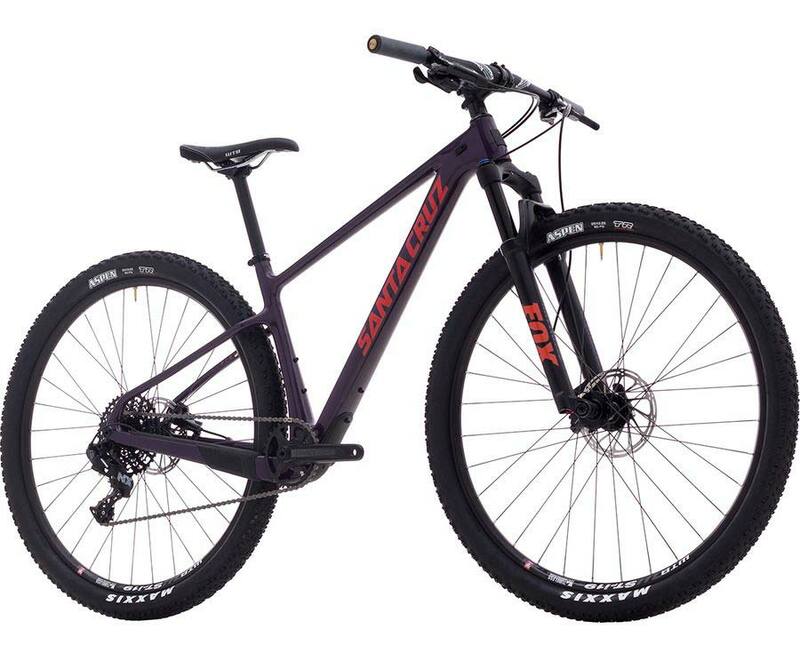 The Pivot Switchblade 29 Race XT Complete Mountain Bike is a sturdy aluminum full suspension bike that your NICA racer will enjoy. The Switchblade’s DW-Link suspension directs power to conquer the steepest climbs and smooths the bumps on the descent. The Switchblade geometry provides just the right balance of steering precision and downhill composure at higher speeds. A great benefit of this mountain bike is the ability to swap between the quick-rolling 29er wheels and 27.5+ wheels to match the needs of the terrain. 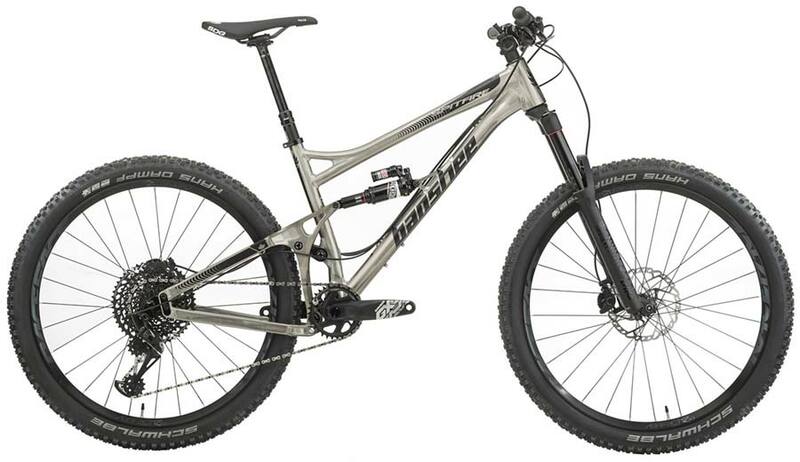 This mountain bike is currently only available in medium with a minimum stand-over height of 27.75 inches. 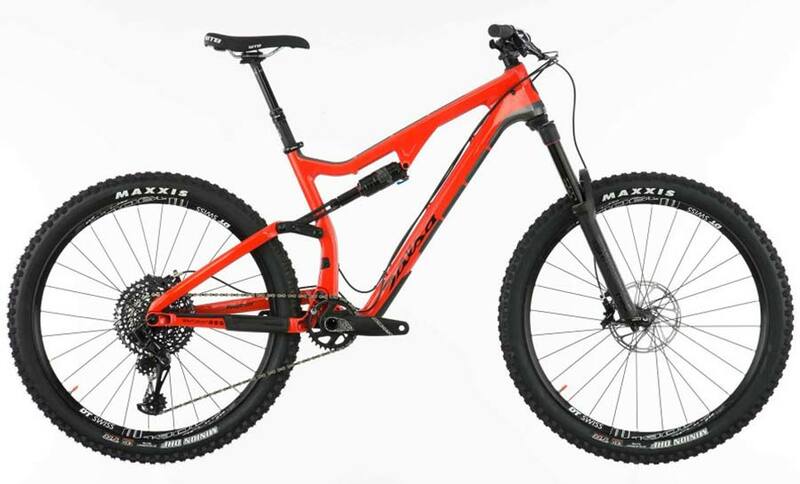 The AIR 9 RDO X01 Eagle Complete Mountain Bike is a lightweight hardtail carbon mountain bike with progressive geometry. Your NICA rider will love this build which pairs Niner’s Race Day Optimized carbon frame with SRAM’s XO1 Eagle one-by drivetrain, hydraulic brakes, and a plush and lightweight RockShox SID RLC fork to maximize control and comfort. The 120mm travel fork slackens the headtube angle to 69-degrees to make the bike as much fun on trail rides as it is on race day.